We are a leading supplier and trader of Hose Reel Drum. Our offered products are Fire Extinguisher, Hydrant System and Fire Sprinklers. With the aim of satisfying our clients, we are indulged in providing an enormous quality range of ISI Mark Fire Hose Reel Drum to our customers. 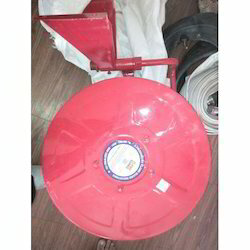 This fire hose reel drum is used to supply water in rescue process against fire. Moreover, we ensure quality by carrying stringent quality check at every stage prior to dispatch. Offered products are available as per the client’s requirements at industry leading prices. 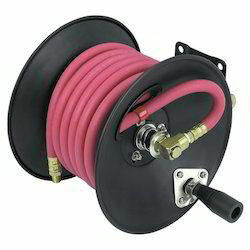 From our wide range of products, we offer optimum quality Hose Reel. Manufactured using the best quality raw material and latest technology, this product is designed with high precision in order to meet the international standards. Our product is stringently tested by our vendors on various parameters of quality in order to deliver flawless and complain free range at the clients’ end. Clients can avail the offered product from us at the most reasonable prices.